The true meaning of Memorial Day can be forgotten in the excitement over school graduations, summer plans and BBQs on a long weekend. From time-to-time, though, certain experiences seem to re-enforce the deepest meaning of the day. I had one such experience not too long ago in France. Last year, my daughter and I had the honor of participating in services near Omaha Beach at the Normandy American Cemetery and Memorial in Coleville-sur-Mer, where 9,387 American soldiers who lost their lives in WW II are laid to rest. We also attended services at the Brittany American Cemetery and Memorial in St. James, where another 4,410 bodies of fallen soldiers are buried. In both sacred places, thousands more names of men and women lost or missing in battle are listed on the walls of the memorials. In these resting places, tidy rows of seemingly endless white tombstones tell the story of ultimate sacrifice paid by so many Americans of all backgrounds, religions, ranks, races and stations. In that spirit, we also had the privilege of dedicating a memorial on Omaha Beach to fallen sons and daughters of Native American nations. Each of these experiences was deeply moving. As we stood on ground hallowed by the blood of patriots, we felt a profound appreciation for their sacrifice. While there were crowds of visitors, voices were subdued and reverence palpable in the presence of such powerful reminders of the price of freedom. While we honor today those who gave their lives to protect our country and our allies, let’s not forget the sacrifices of their families who lost spouses, children and parents on behalf of America. One of those Gold Star families resides here in Utah—the proud relatives of PFC Jose F. Valdez, Utah’s only Latino recipient of the Medal of Honor and only one of six Utahns overall. Read of his amazing and heroic story here. Also, as we dedicate this Memorial Day to lost soldiers, sailors, airmen, corpsmen and officers, my hope is that we will appreciate the sacrifices and challenges of those that remain with us, including our men and women still in uniform who stand ready to defend our nation. The reality is that often vets face a different horror of war at home. Many of them are losing the fight to depression and other mental or behavioral challenges related to combat or other aspects of their service. And far too many are ending their own lives feeling isolated, alone and misunderstood. 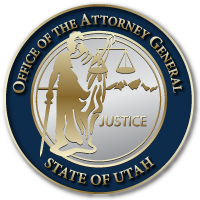 If you are an attorney, one way to support our military families is by partnering with the Utah At Ease Program — a public-private partnership of the Department of Veterans Affairs, the Utah State Bar, and the Attorney General’s Office. Through the Office of Military & Veteran Legal Assistance, we are able to connect our military and veterans communities with pro bono legal services throughout the State. We have had strong support from the Bar and are grateful for the many who are willing to serve those who serve us. At the AG’s Office, we are privileged to work closely with and support our dedicated women and men of the military. And finally, as we celebrate the sacrifices of fallen Americans, let’s not unnecessarily endanger or lose lives they fought to protect. Please don’t drive impaired by alcohol, drugs, texting or lack of sleep. And please don’t let loved ones do so either. The Office of the Utah Attorney General wishes everyone a safe and happy Memorial Day!